View from the 28th Floor is poetry in the paint by the famed artist Jeff Hansen. Jeff Hanseo's unique approach to color application creates a dramatically different color pallet with striking depth and precision. One might imagine themselves seeing the city erupt with the reflections of fireworks and how the sudden flashes radiate a fiery glow from nearby buildings. 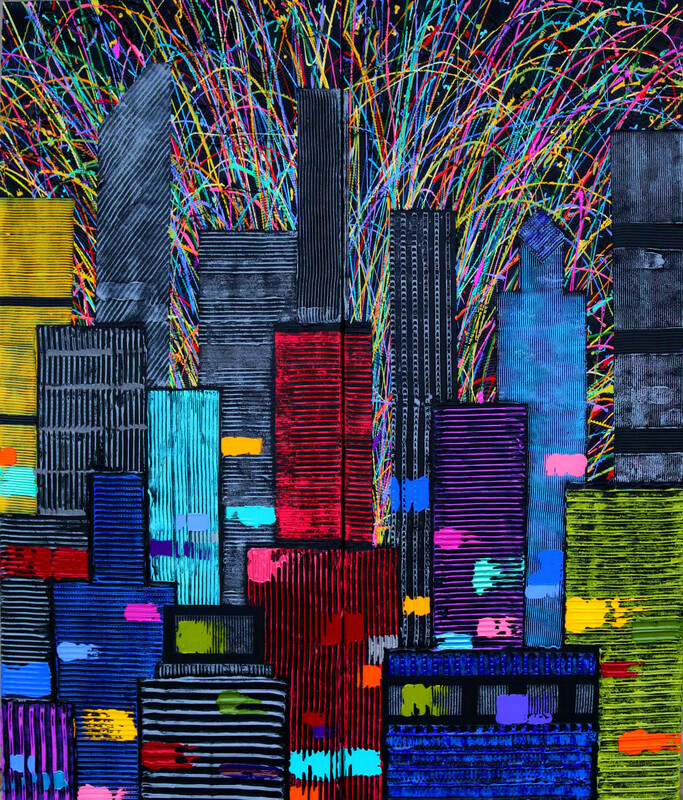 A dramatic colorful cityscape displays hieght and depth while embracing the cold industrial outlines of the city architecture. A city is as much alive as anything, more than a place, it is a euphony unfolding in real time. This is an amazing puzzle by artist Jeff Hanson. It was fun, interesting, and definitely a challenge but well worth the effort.